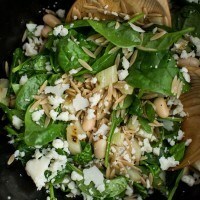 Grilled Fennel Salad with Orzo and White Beans | Naturally. With the many fall vegetables on the market this time of year, it might be easy to overlook fennel. It’s not as brightly colored as the squash and the flavor cane sometimes be a bit overwhelming. I’m constantly trying to pair fennel with vegetables that have a slightly sweet flavor to balance the earthiness. However, I wanted to share a recipe where fennel was the star. I’ve been digging through old cookbooks and one recipe I came across called for coating fennel and frying them- a type of fennel steak. While I didn’t go that route, I did cut the fennel similar and did what I usually do with vegetable steaks: grilled them. This salad is easily a main dish with the white beans and orzo while the strong fennel flavor gives way to a slightly more mellow tone. Orzo swap: I like orzo in salads as it feels like a healthier riff on pasta salad. However, a hearty grain would work as well. For quick cooking, try quinoa or if you have a bit of time, farro would be a nice compliment to the fennel. Spinach: This time of year is the perfect time to try an assortment of greens as they are a cool weather crop. I’ll switch out for different lettuces or arugula depending on what looks best at the market. White beans: I’ve been keen on plump white beans as of late but I think a nice heirloom cranberry bean would be just as lovely. Light grill or preheat grill pan to medium heat. 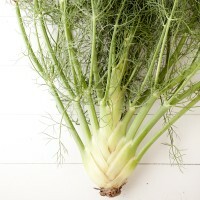 Take the fennel head and trim off the fronds, leaving 1/2″ of the stalk above the bulb. Holding the fennel upright, so that the bottom is on the cutting board, slice down, cutting the fennel into roughly 4, 1/4″ thick slices. Brush the fennel slices with olive oil and sprinkle with garlic powder, salt, and pepper. 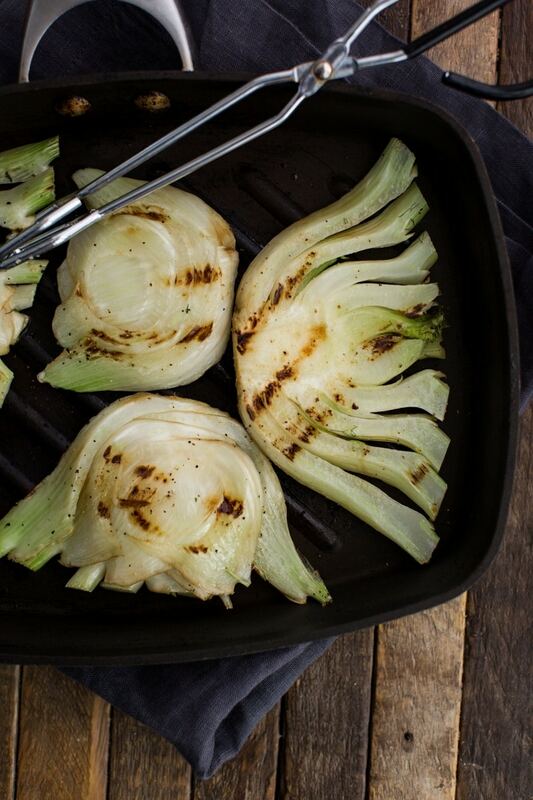 Grill the fennel slices until charring on each side and tender, 3 to 4 minutes per side (depending on how hot the grill/grill pan gets.) Let fennel cool slightly and chop into pieces. 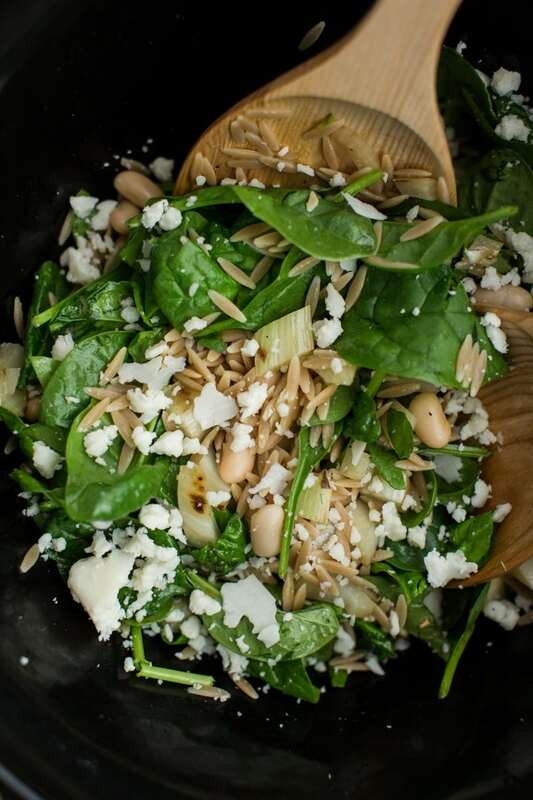 To assemble the salad, toss the grilled fennel with orzo, spinach, crumbled goat cheese and white beans. Whisk together the olive oil and balsamic vinegar. Pour over the salad and tossing everything together until well combined. This salad looks so delicious, and a nice break from all the sweet squashes I have been eating. I actually have some fennel in my fridge that I’ve been procrastinating making because its just not a vegetable I have a lot of experience with! It has such a strong flavor, I think you’re right that it’s worth making it the star of the dish. I love that it’s fall, and fresh fennel is hitting the stands again. This is definitely going to inspire a weeknight meal – the combination of simple flavours, greens and protein is perfect for a light dinner! Thank you for developing this. I”m not a huge orzo fan and had left over wild rice with sweet potato chunks. 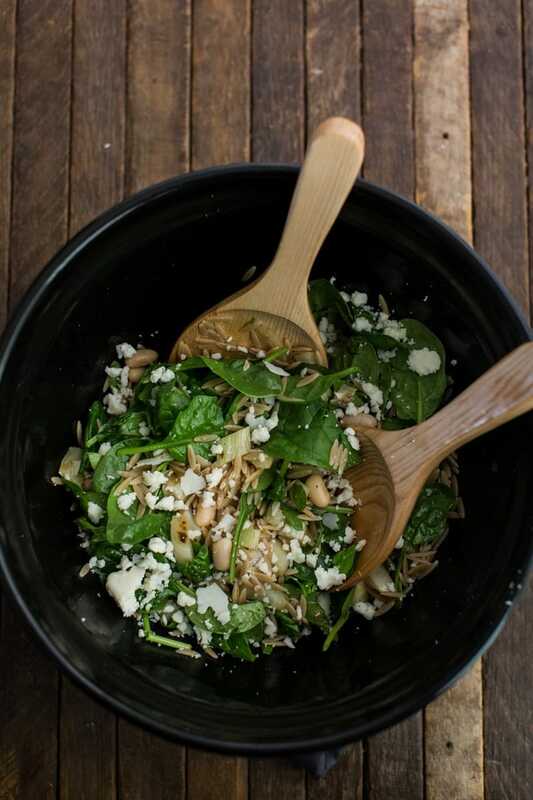 Tossed with spinach, dressing and crumbled goat, yum! I like fennel in the dark of winter, when it’s sweet, anise-y flavor brightens my day. I’ve never thought to grill it, but this looks great. This combo looks great and I love salads with orzo. I will be making this weekend. This looks like tasty salad, good for before power training.